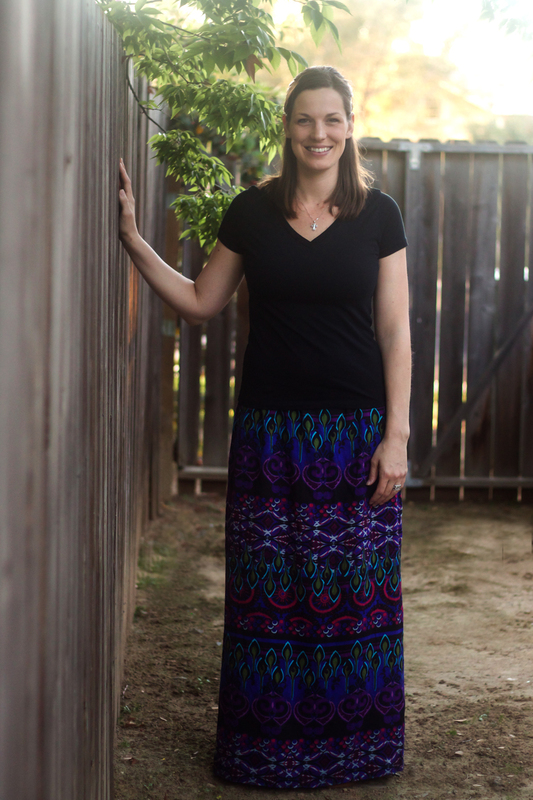 Trying to figure out what to wear is challenging in the postpartum phase. Nothing fits! Maternity clothes are now getting bigger but there is no way my hips and belly are fitting into my pre-baby clothes any time soon either. 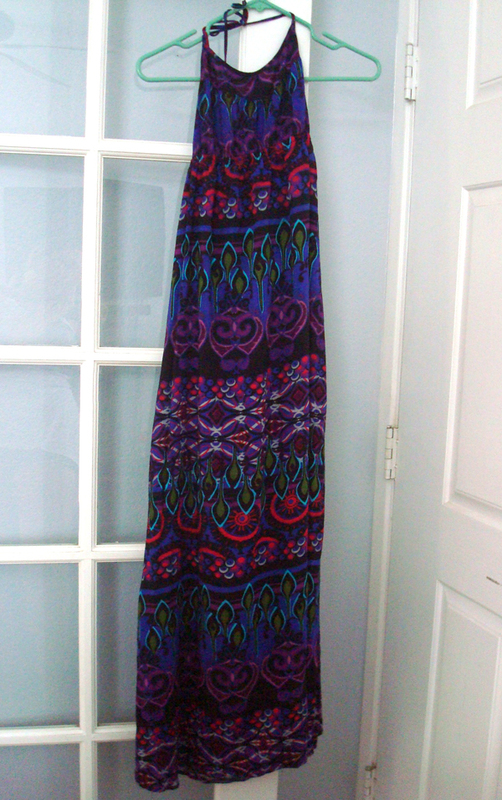 I was thinking maxi skirts would be best since it is so hot here so I bought some fabric this weekend but I have been eyeing this dress that I wore pre-baby days. It is cute (I think) but it never quite fit me right because I am pretty tall so it hit at my ankles and I just always felt self-conscious about it being too short. 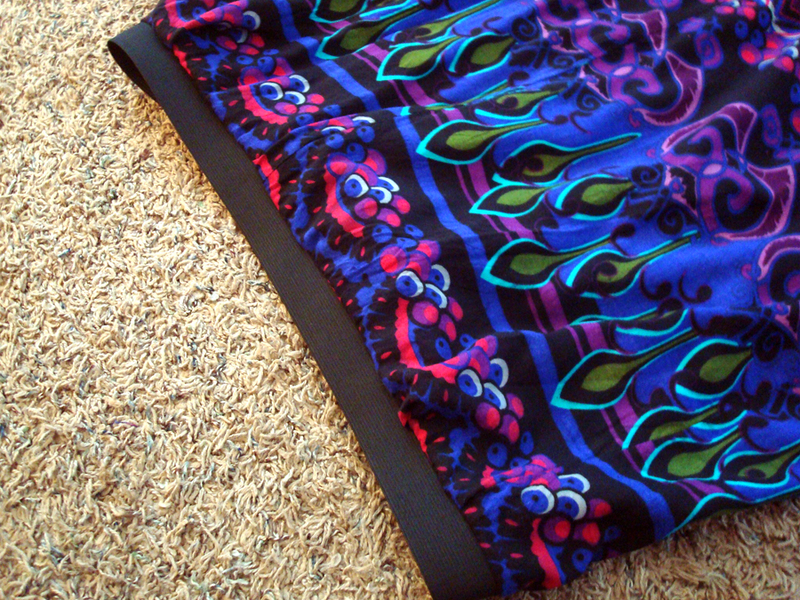 So, I decided to make an easy to sew maxi skirt out of it by just totally retrofitting it with elastic. 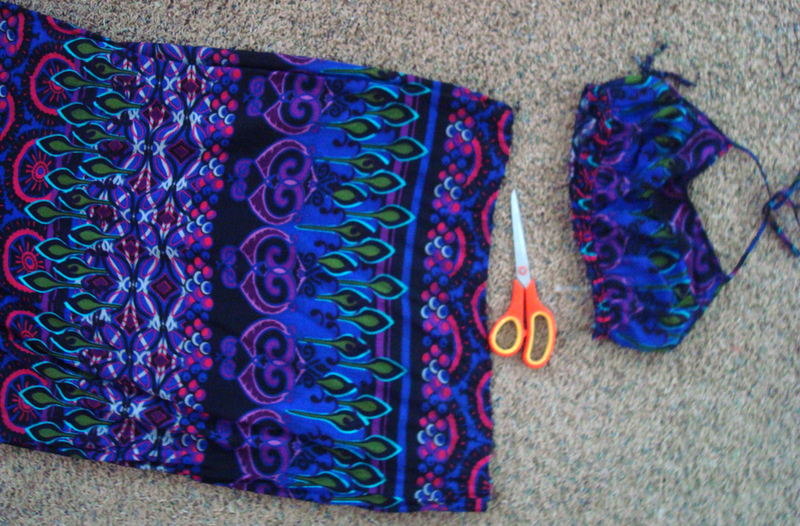 Here is the dress before and after. I really just went for it and cut the top right off of it. 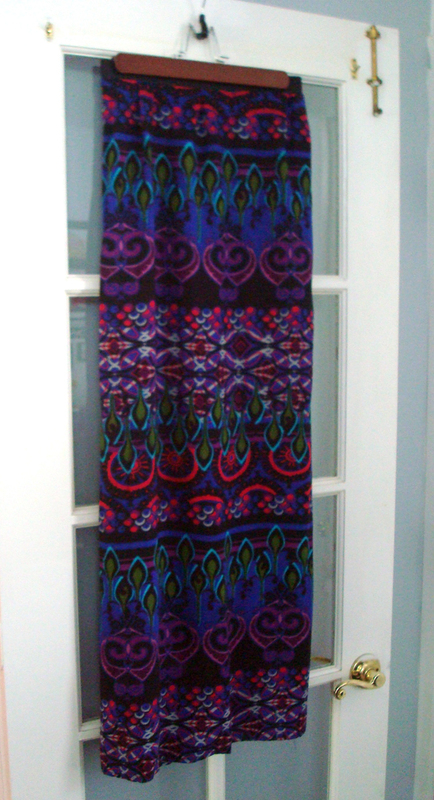 I am sure that you could find a cute maxi dress to make into this easy sew maxi skirt at a second-hand store, it probably wouldn’t be too scary to cut if it wasn’t something you had memories of either. I wore this one on my honeymoon so I was a little weary when going for this project but sometimes it is nice to have a little change and I think I’ll get more use out of it this way as well. 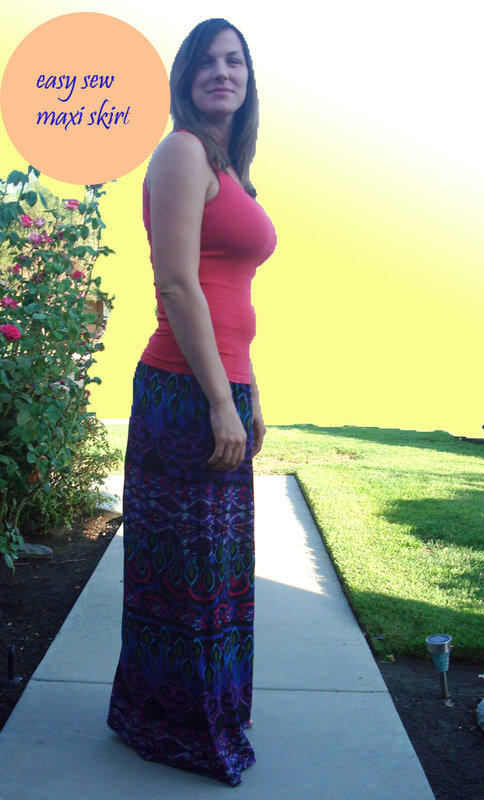 1. find a maxi dress with a print you like, cut the top portion off of it making sure to leave enough fabric to account for your height. Mine was about 41″. 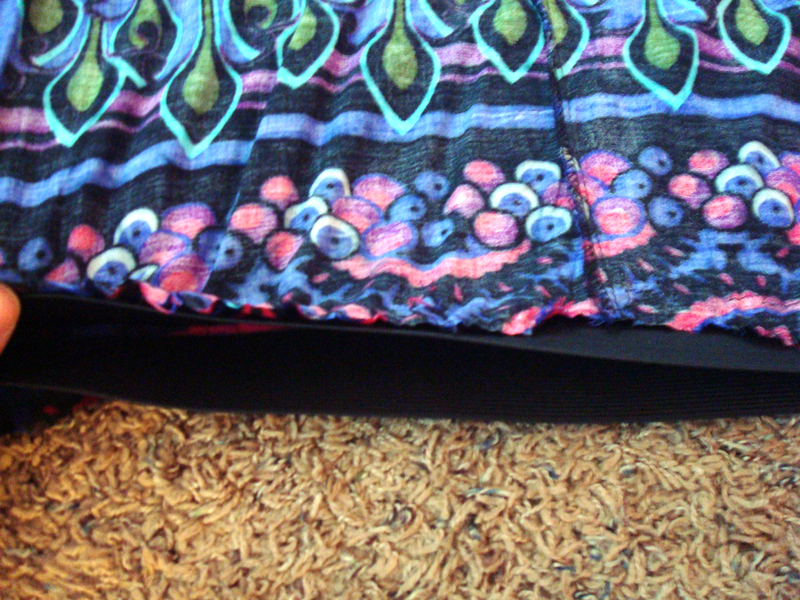 2. cut a piece of elastic (I used 2″ wide) to the correct size of your hips, fold inside out and sew the short way in order to secure it. 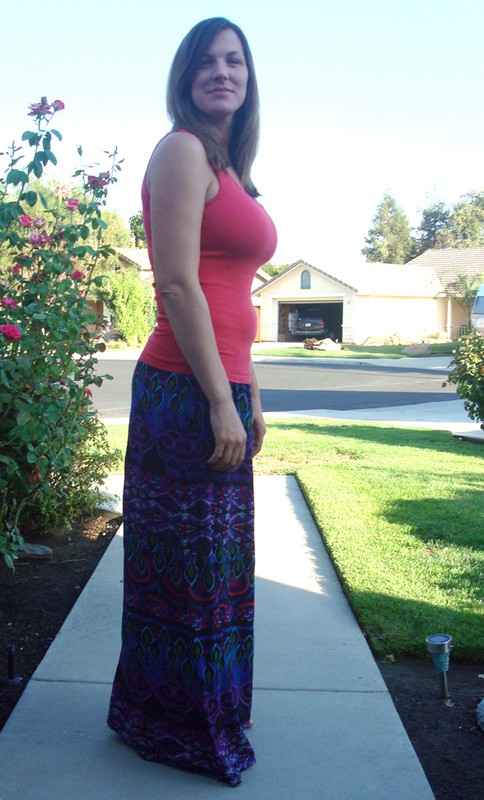 If you’re interested in an easy to sew maxi dress check out this post! Would you attempt this project or is this just a little crazy? Great idea! You’re so creative!